If you live in an area that truly feels the cold in the wintertime, you probably know how bone chilling it can be to try and shake away those low temperatures. Having a good heating unit and service in your home is crucial to getting through the wintertime comfortably and safely. 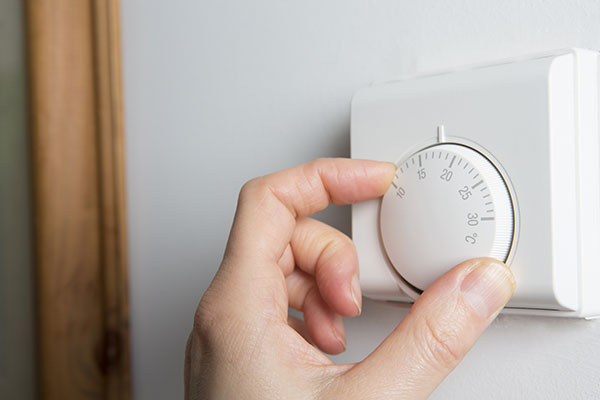 Many residents may try to cut some corners and save money by not turning on the heat throughout these chilly months. However, the team at MovingAddresses.org warns residents that your heating service is actually an important part of your home’s upkeep. Here are four crucial reasons why you should use your heating service when it’s cold out, even if you’re tempted to save money on your power bill. It can keep your pipes from freezing – If you’re dealing with a brutally cold winter, you may be concerned with your pipes freezing when the temperature drops. This can happen during the nighttime when you’re not using the water, or if you go out of town for a few days. One way to prevent pipes from freezing is to keep the faucet slightly running overnight so that the water activates a slow, but constant trickle. According to the team of experts at MovingAddresses.org, it’s also crucial not to let the indoor temperature of your home drop below 55 degrees. If your home gets too cold inside, frozen pipes can happen quickly, especially if you don’t open any faucets and the temperature drops below freezing outside. Having a heating service in your home that’s reliable and efficient can allow you to ensure your home stays warm enough to not have to deal with the hassle of frozen pipes – which are an extremely costly fix. It will keep you and your family comfortable – While being thrifty is always helpful for your monthly budget, staying comfortable in your home is also a great benefit of running your heat in the winter months. Staying bundled up in blankets and winter clothes indoors throughout the wintertime can get old, so using your heating service allows you to peel off a few layers and to stay relaxed while inside. It may be tempting to turn off your heat when you leave the home for work or to run errands for a few hours. However, the team at MovingAddresses.org reminds you that if you have pets living in the home, this is not a safe way to save money on your power bill. Dogs and cats walk on the cold floor of your home and heat rises, allowing their body temperatures to drop quicker than humans do. Keeping your heat on, even when you’re not home, can prevent your family pets from getting too cold and uncomfortable while alone in the house. It helps all appliances and electronics to continue functioning properly – Even if you’re not worried about your own comfort in the home, you should also consider your appliances and electronics. These items were only meant to function properly in comfortable temperatures. Therefore, the team at MovingAddresses.org recommends keeping your heat on in the cold winter months, even when you’re not home. This will ensure that your televisions, computers, ovens, microwaves and other appliances and electronics can continue to operate normally without being negatively affected by the cold. It is the safest way to keep your home warm – Many residents may try to avoid paying a heating bill in the cold winter months by turning to alternative ways to heat their homes. These methods may include portable heaters, fireplaces or coal-burning stoves. While these heating sources can help to save you money on your power bill, the experts at MovingAddresses.org warn about the dangers of these types of heating options. When left unattended, fireplaces, portable heaters, electric blankets, coal-burning stoves and other stand-alone heat sources are known to cause house fires. To eliminate exposing your home your pets and your family to the dangers of these heating sources, a professionally installed heating service inside the home should be considered, instead.